The time is 2.30pm in Lagos. It’s a hot afternoon. The sweltering temperature seems even hotter outside the National Theatre complex, Iganmu. A convoy of trucks blares for passage, as the vehicles drive towards Ijora Causeway. From the gate to the complex, the well-mown lawn appears welcoming, while the trees in the complex sway to rhythms of the wind. Dr. (Mrs.) Stella Oyedepo is going round to see how far the cleaning exercise in the complex has gone. She stares with increasing pride, the almost well polished and cobbled first floor, which is reserved for senior officers of the parastatal. “The first way to make this place attractive is to clean up the mess everywhere,” she tells The Guardian. Before she assumed office as General Manager of National Theatre, the complex was an eyesore, as the surroundings, including the canal, were filled with refuse of different materials. Everywhere smelt. Apart from dirty surrounding, the perimeter fence was in a dilapidated condition, while the edifice was an environmental nuisance. The situation on ground had also become worrisome for people within the premises. Shop owners saw the place as a security risk and a clear danger to lives and property in the neighbourhood. Residents of Costain, Apapa Road, Ijora and the environs had even called on government to clear illegal structures around the facility, which they alleged, had become a haven for criminals. Area boys had converted the place to their place of abode, using the canal as toilet at night, and illegal structure as home. “Apart from cleaning the environment, we have also lit up the whole area and cut overgrown weeds,” she says. 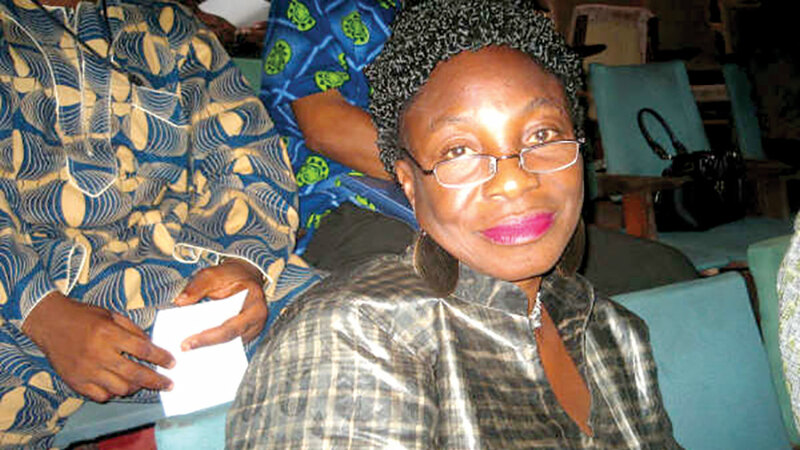 Ahead of her resumption at the National Theatre, Lagos, the playwright and culture administrator had said her mission and goals for the 42-year-old edifice was to turn it around. Though, pleased with the opportunity to serve on a national scale after excelling in Kwara, the GM knew the decision to make her the prima donna of the nation’s foremost culture complex, which had been headed in the past by culture practitioners such as, Jimmy Atte, Professors Femi Osofisan and Ahmed Yerima, was an onerous task that would require the best of her ability. “With cooperation from different quarters, determination, hard work and God on our side, we would record commendable achievements,” she tells The Guardian, as the paper is conducted round the facility, which now wears new look. And she is totally committed to delivering for all players in the culture sector, as well as the generality of Nigerians, assuring that there will be improvements in the fortunes of the theatre. She says the complex is a place where the public alongside their families and friends could relax, because of the various forms of entertainment it could provide. “We have at our hearts, the interests of artistes who intend to use the National Theatre’s facilities to organise shows,” she explains. “That is why we have been putting in place measures that will ensure their optimal profits. For instance, we do not charge artistes for the use of our halls rather; we only take part of what was realised from the gate fees as charges,” she reveals. Since August 2018, there has been a series of activities to attract visitors to the venue. 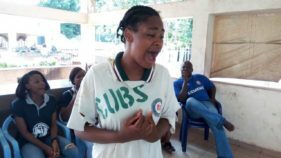 Stage productions such as, Salem Touch Production’s staging of Ahmed Yerima’s Ade Ire and directed by Lekan Balogun and Lekan Balogun’s Ojuola directed by Dele Oluwa Vincent and Ms. Josephine Igberaese-led Creative Centre staging of children’s drama. Phinny’s Talent Studio had also presented an art show for kids and teens. Films are also being screened. Recalling with nostalgia the glorious 80s, “that’s where we are going,” she says. Oyedepo says that the management of the National Theatre has begun the rehabilitation of the theatre’s transit camp. The camp will serve as hostel accommodations for artistes who come from outside Lagos for shows at the national theatre. For the National Theatre GM, past negative reports about the complex had created negative images in the minds of revelers, which led to a dearth of activities. She reveals National Theatre is an ‘institution’, which does not necessarily mean the building, but also provides curatorial and financial support to produce plays there. Oyedepo also want theatre companies and practitioners, whose artistic space has been the street for years, sometimes, decades, to push their way back into the very bastions of highbrow culture that try so hard to be close to life. She believes, no matter what the avant gardists call the stage and no matter how it is equipped, as a performance venue, National Theatre remains the starting point for artistic encounter, however invisible, ordinary or provocative it may be. 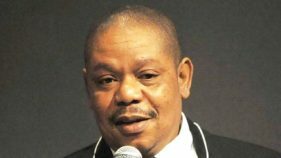 In recent years, many artists in the country’s independent scene have been turning their backs on the National Theatre, because of what they consider as poor state of the facility. They prefer staging their productions in environments away from the theatre, sometimes, extending their performance beyond the artistic space. Little wonder, every crossroad, derelict building, factory floor or wasteland is now a ‘natural biotope for creative expressions’. With their muezzin, truck drivers and economic migrants, they present their audience with a ubiquitous theatre landscape stretching from the radio to Internet and other platforms. Culture critiques, practitioners and commentators have, however, noted that such movements to break out or become enstranged to the much-vilified ivory tower of art and theatre also involve some measure of social romanticism. After all, there was Bertolt Brecht’s Alienation Effect or Verfremdungseffekt and Samuel Beckett’s, whose Waiting For Godot first made more sense to prisoners. Terra Kulture Arena Theatre, which opened as an interventionist theatre space, largely in response to the National Theatre’s continuing failing as Nigeria’s cultural hotspot and the Musical Society of Nigeria, MUSON, hall’s have ennobled this new altar as theatrical space. According to the lady, the National Theatre is the ‘natural place’ for theatrical performance. An opinion also corroborated by Biodun Abe, director of Events and Business Development. The Guardian’s check has revealed that for most part of the 30 years that the culture edifice was not put in optimal use, government lost over N300 billion. The 5,000-capacity main bowl has not been put to use since 1992 due to structural errors. The other halls run skeletal services at best, with most of them as non-cultural or artistic events. 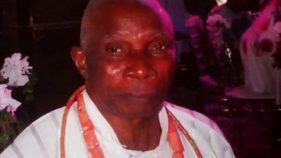 The veteran filmmaker, Eddie Ugboma, in an earlier chat with The Guardian, estimates that he and the late Yoruba film doyen, Hubert Ogunde, were raking in about N8 million every weekend. Ogunde, whose Yoruba language films were very popular, made about N5 million most weekends, he (Ugbomah) made about N3 million with his English films like, The Death of a Black President, Oyenusi and Black Gold. Mo Abudu’s The Wedding Party grossed N200 million in just 16 days of four weekends in box office earnings in cinema halls that seat only 100 people at a time. Also, AY’s (Ayo Makun) A Trip to Jamaica earned N168 million in less than four weekends. The two cinema halls at the National Theatre seat well over 500 people each at the same time, the exhibition hall well over 800 people. Earnings from cinemas are just one aspect of what can be done with the National Theatre. A look at recent box office returns from Terra Kulture, FilmOne House, Silverbird Galleria and Genesis in terms of raising revenues shows that National Theatre’s loss is much. There is the exhibition hall, two cinema halls, the banquet hall, the VIP hall, and the 5,000-seater main bowl. No other venue in Nigeria has this capacity. The main bowl also has a revolving stage, which is rare to come by in most event centres, and this stage has not been used in the past 30 years. Imagine how much money government would be making if 5,000 people pay at least N500 to watch a film or play that would be shown thrice or four times a day? The idea for the building of the National Theatre was initiated by the General Yakubu Gowon administration as Nigeria prepared to host the World Black and African Festival of Arts and Culture, otherwise called FESTAC ’77. In 1973, the Gowon regime appointed a 29-member Theatre Consultative Committee to advise it on the concept and organisational structure of the theatre. The contract for construction was signed on April 24, 1973, with Bulgarian construction company, Technoexportsroy, as the main contractors for the building of the complex. It was the consultative committee that proposed the establishment of a National Theatre, which it also conceived as the home of a national troupe. The multi-purpose theatre complex covers an area of about 23,000 square meters and stands well over 31 meters tall. The structure of the Nigeria National Theatre is modeled on the Palace of Culture and Sports in Varma, Bulgaria. The complex served as a venue for the Second World Black and African Festival of Arts and Culture (FESTAC ’77), which Nigeria successfully hosted in January/February of 1977. It has a 5,000-seater main hall with a collapsible stage, two 700 to 800 capacity cinema halls equipped with facilities for simultaneous translation in 13 languages. The management added two halls that could accommodate up to 1,000 people and stages for artistic performances. Former President Olusegun Obasanjo ‘s plan to privatise the facility in 2001 sparked controversy among the Nigerian arts community, which was shelved. The idea to privatise the place gained currency again in 2007, which led to a series of meetings, demonstrations, rallies and protests against the proposed sale/concessioning of the facility. Led by the Coalition of Nigeria Artist (CONA), arguments were advanced on how such facilities in other climes have functioned. According to CONA, “all over the world, human communities, including nations, states, cities and other communities set up official cultural centres to: signalise the community’s cultural arrival; embody its artistic values; showcase its artifacts; and incubate the progressive development of its creative expressions. CONA acknowledged the need for the resuscitation of the National Theatre for the fulfillment of its mandate as the Nigerian national cultural centre and the centre of arts and performances in the black world, as was conceived during the Festival of African Art and Culture (FESTAC) and proposed a study group of stakeholders and experts be commissioned to analyse the nature and structure of successful Public Private Participation in the operation and funding of National Cultural Centres world-wide and the appropriate legal and other frameworks for such a PPP established before inviting private participation under the framework. A committee was set up in September 2012, during the tenure of High Chief Edem Duke as minister of Tourism, Culture and National Orientation to look into the possibility of Public Private Partnership (PPP) in the management of the facility. The committee consisted of representatives of the Federal Ministry of Housing, Infrastructural Regulations Committee and Surveyor General. The committee engaged VGL Consultants, a foreign consulting firm, to look into ways of turning around the surroundings of the theatre. The committee report favoured an establishment of a five star hotel, which the critical and very alert culture community resisted before it was finally shelved. However, determined to preserve key national monuments in the country, the Senate, last December, called on the Federal Government to, as a matter of urgency, stop the planned sale of Tafawa Balewa Square, and the National Theatre, Iganmu, both in Lagos. 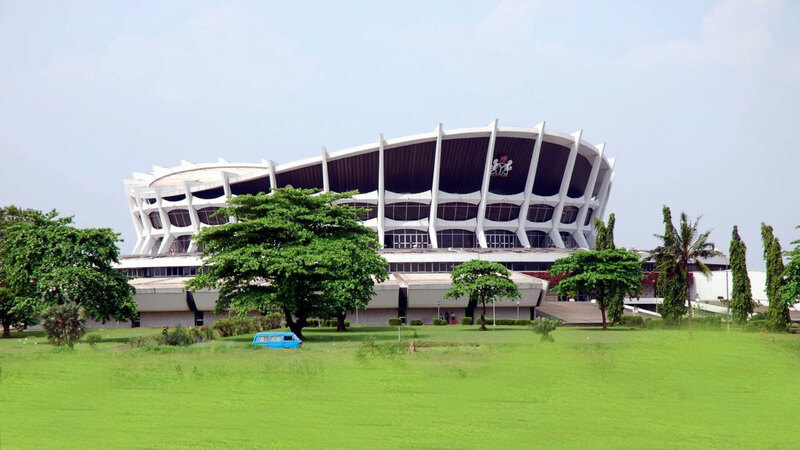 The upper legislative chamber declared that both establishments as well as the President’s House at Marina, the Prime Minister’s Lodge, Onikan, and the National Assembly Complex, Lagos, were national monuments that should be preserved. It, therefore, directed the Federal Ministry of Information and Culture to immediately develop monuments into viable tourists attraction for the country. These resolutions followed a motion, “Proposed sale of the National Theatre and the Tafawa Balewa Square, Lagos by the Federal Government of Nigeria” sponsored by Senator Fatimat Raji-Rasaki. Leading the debate on the motion, Raji-Rasaki said the media was recently awash on the sale of assets belonging to the federal government, including the National Theatre and the TBS in Lagos to raise more funds to finance the 2018 budget. She informed that the National Theatre was specifically built to host the 2nd Black African Art Festival named the Festival of Art and Culture (FESTAC) in January/February 1977, where all black people across the globe gathered to celebrate the uniqueness of the black race.